An easy-to-sew reversible bag with a casual boho vibe, Summer includes four slip pockets and a long crossbody strap. Two bag sizes are included in this Festival Sling FREE sewing pattern. 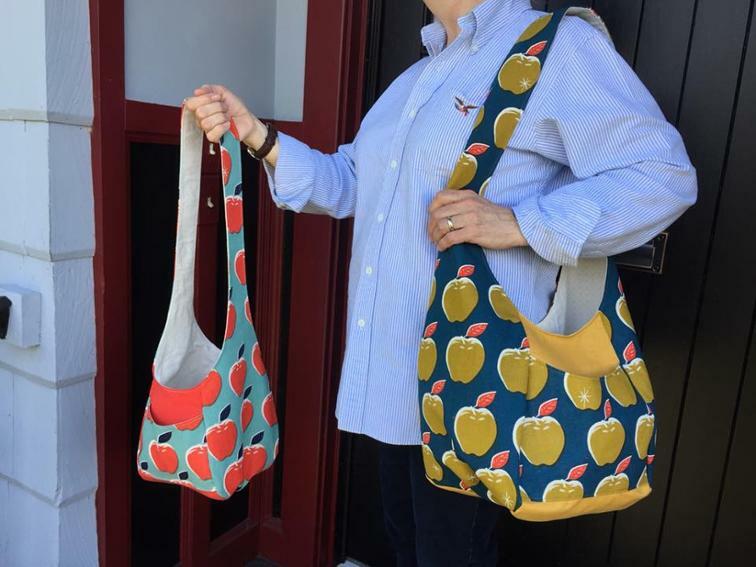 Take a look at this Carnaby Carry All Bag FREE Pattern and Tutorial, too! Just tested and everything seems fine to me. Please give it another try. Can’t get the pattern to print. It is saved and I ask it to print and the printer does not print it. What am I doing wrong?